"I am a good man and I'm an alcoholic," Rep. Tom Garrett of Virginia said. 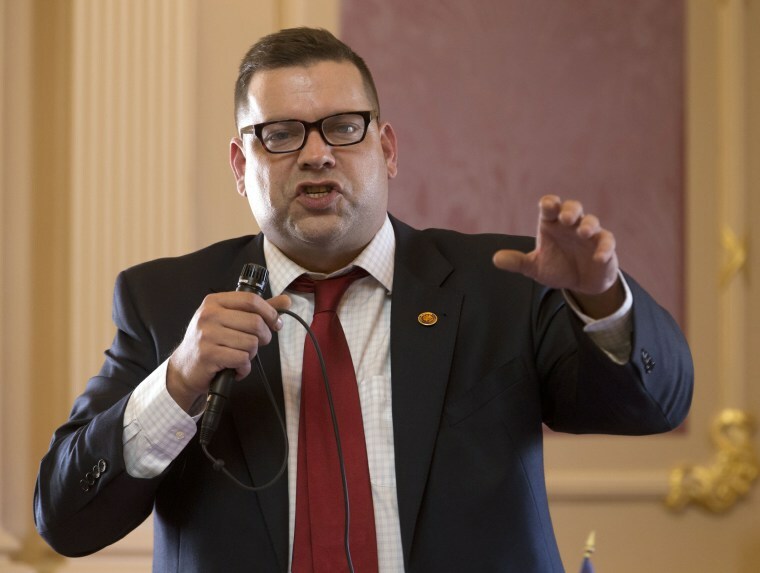 Rep. Tom Garrett, R-Va., said Monday that he was an alcoholic and added his name to the growing list of lawmakers not seeking re-election in November's midterm elections, his spokesman confirmed. Garrett, of Virginia's 5th Congressional District, which stretches through central Virginia from north of Charlottesville to the North Carolina line, announced his retirement in a video statement first reported by The Washington Post. Garrett described his retirement as "a new beginning" driven not by a fear of losing but by "knowing where your priorities should be." His alcoholism, he added, was the "one area that I haven't been honest." "Any person — Republican, Democrat or independent — who has known me for any period of time and has any integrity knows two things: I am a good man, and I'm an alcoholic," Garrett said. "This is the hardest statement that I have ever publicly made by far," he said. "It's also the truth." In the statement, Garrett also appeared to deny a Politico report last week that said he and his wife used Garrett's congressional staffers for personal errands. "The recent attacks on my family and myself were a series of half-truths and full lies," Garrett said. "These attacks aren't true, and I can prove that." Garrett, a former Army officer and a member of the conservative Freedom Caucus who was elected in 2016, joins a growing number of Republicans bailing on the House and the Senate. In the House alone, the number of Republican retirements is in the dozens, including Speaker Paul Ryan of Wisconsin, who announced his retirement last month. "A lot of Hill Republicans are just miserable right now," former Rep. David Jolly, R-Fla., said after Ryan's announcement. "That's the constant theme I hear from former colleagues. ... The reality is that [President Donald] Trump has just made the environment really, really difficult."